External and internal forces can create conflicts and opportunities. External forces all around us affect our clarity and can have an entropic effect if unrecognized or left unchecked. As the environment filters in from the outside, being aware of and planning for shifts in competitive forces, government regulations, industry constraints, and so on allows for a business to nimbly shift focus and respond to dynamic change more successfully than those without such clarity. Clarity becomes both interpreter and incubator of how the outside forces will affect our internal climate of culture. We cannot get away from our fundamental belief that organizations and individuals are products of their expectations, not their environments. But, that does not negate the power and importance of the environment and the factors that drive it. If organizations are aptly understanding their environment and accounting for future shifts before they fully take place, they have the chance of being at the forefront of the industry by exceeding the consumers’ expectations. In clarity, we realize that the environment is rich with resources and opportunity for us, not just chaotic factors beyond our control. We recognize that while they may belong to someone else, they are still there for us to know and understand. We also look at the environment and mindset of the internal organization. We recognize that it becomes a critical part of our ability to see the totality of the environment. As we have shared, when leaders understand at a fundamental level and embrace what is central, enduring, and distinctive about the organization and are able to effectively convey that to their employees, they can work with shared passion to encourage and ultimately achieve alignment. 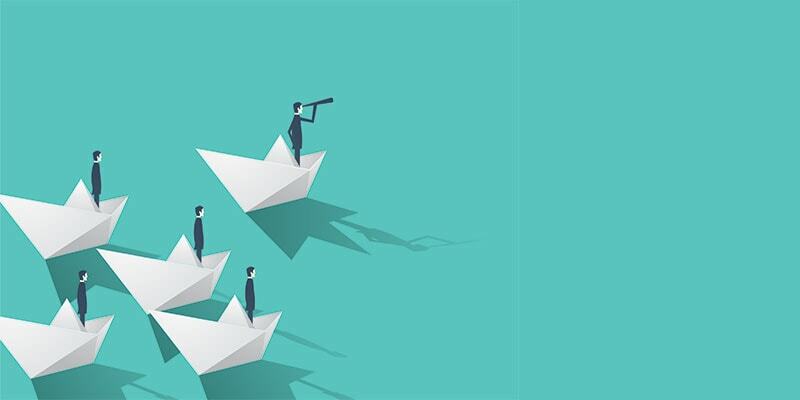 As we think about the internal environment, one of the factors that is important to living up to all sides of the box is the mindset of not only the leader, but the entirety of the workforce. A 2012 study on strategic environmental scanning and organizational performance confirms this notion, stating how management needs to take into cognizance the environment’s dynamism and uncertainty when adopting any strategy. The study revealed the significant relationship that exists between strategic environmental scanning and organizational performance, signifying the necessary role scanning has in creating an effective, proactively responding organization. No one likes a Pollyanna; but at Deutser, we believe that finding the positive side is what separates great companies and leaders from merely good ones. We believe that embedding positivity into the DNA of an organization creates the foundation for longevity and the expectation of greatness. In fact, positivity and optimism are key measures in our assessments and surveys. What makes a positive culture? Leaders in touch with their people, people aligned with the organizational expectations, and people who are openly encouraged to share their insights and build upon the mission together. In other words, they understand the expectations and the environment in which they must continue to navigate as well as share a belief in what they have set up, by way of their box, and what they can collectively achieve. Understanding and accepting both the role and importance of positivity in the psyche of an organization is a fundamental part of leading. Because of the constant bombardment of information that confronts us daily, leaders can easily succumb to information overload. If we are not careful, these distractions will derail us. To counter this, we employ a weekly exercise to ensure that, as we think about our box and the environment in which it exists, we are purposefully leaving behind things that don’t serve us while caring for things that help us and reinforcing the positivity that defines us when we’re at our best. Gratitude for all we accomplish every day is the foundation for positivity and performance. Yet, as each new week begins, leaders often hold on to shortcomings, frustrations, and negativity that they encountered over the past week, quarter, or year. Research shows that when we let go of the past, good and bad, we are able to achieve a level of clarity to move forward with purpose. As I reflect on environmental challenges, I think about a situation where I fundamentally misread the environment and the factors driving our client’s decision making. I was faced with one of the most professionally and personally challenging situations when a long-time client was forced to deal with a devastating community event of historic proportions. Everywhere I looked there were messages of compassion and genuine concern. With few exceptions, this was a moment of unmistakable human triumph. The community fiercely rallied around recovery with companies foregoing credit to simply do what was right and to best take care of people and the city they called home. Everything in the environment seemed so crystal clear – especially the way people of different ethnic and socioeconomic backgrounds came together to support each other. This was one of the few times that there were no competing environmental factors to cloud what was happening. Yet, the conflict for me came when one of my oldest, most revered clients went silent and removed itself from the community support net. The company that had quietly always done the right thing, out of the spotlight, remained on the sidelines. I was personally devastated and confused. How could this happen? How could the company I have carefully guided over years of work desert not only me and my value system, but our community? I began to wonder if I had been wrong about our values being aligned. I took this as a personal affront. I asked my team, and the client, how could anyone be so tone deaf to the cries of the community and those in need? I never got an answer. I knew I was right. But, was I? Was the client tone deaf? Or, was it me, and those closest to me, who were blinded? I learned that the leader was far from tone deaf. True, he wasn’t listening to the community. It was moving in ways few could understand, unless, they were part of the tragic events. But he was listening to his board and the leaders to whom he reported. He was doing exactly what was expected of him—focusing on the business, not the community. In the end, it was me who was blind to the dimensionality of business and the competing factors for which all leaders must account. Dimensionality speaks to the complexity that outsiders often understand and we sometimes miss as leaders. 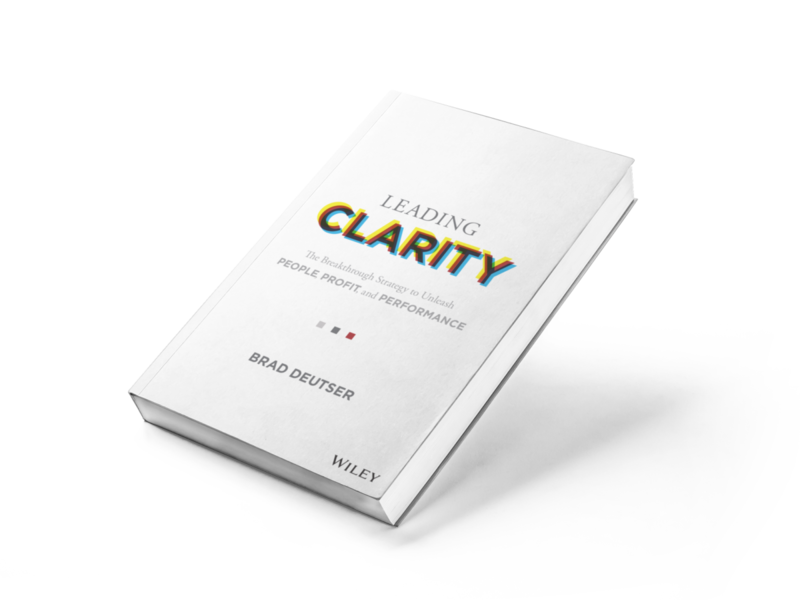 In clarity, you must take into account the full environment.